Tiny, uniform, dark green needles radiate around the many short branches of this dwarf Balsam Fir. Smaller and finer than 'Nana,' this improved selection displays prominent brown buds for seasonal interest. 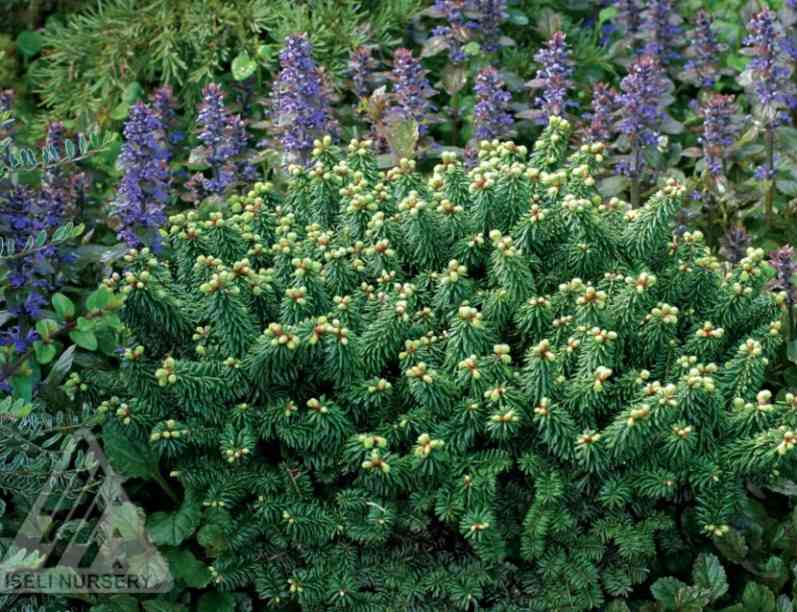 The dense, very dwarf globe is ideal for rock gardens, containers and small landscapes. It is originally from Germany.